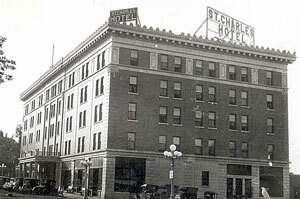 The St. Charles Hotel is located at 207 East Capitol Ave. in Pierre. The Saint Charles Restaurant & Caucus Lounge on the main level serves lunch from 11:00am to 2:00pm and dinner from 5:00am to 10:00pm Monday through Saturday. 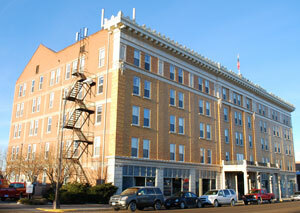 The businesses on the second level and apartments on the upper three levels are not open to the public. For more information about the restaurant, visit the Saint Charles Restaurant & Caucus Lounge website.